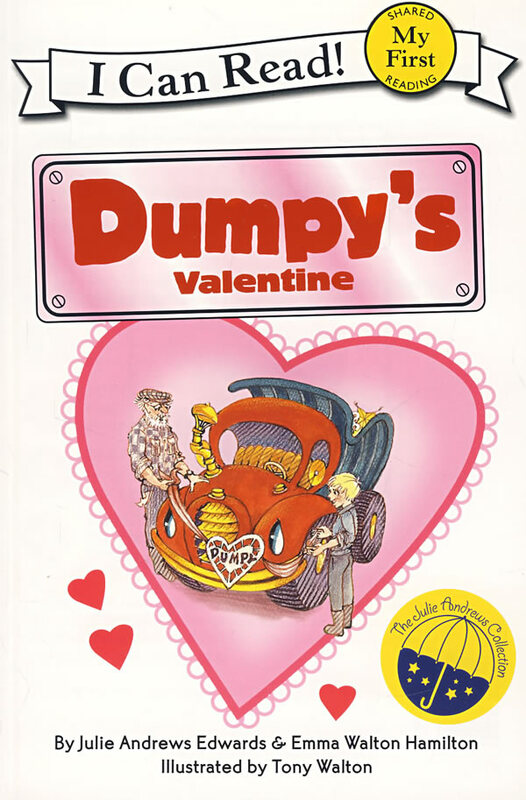 书籍简介: It's Valentine's Day,and poor Trusty the Mail Truck has broken down.Dumpy offers to lend a hand,and with Charlie and Pop-Up's help he delivers surprises all over town.But what about Trusty? Will he get a valentine this year? Julie Andrews Edwards is one of the most recognized figures in the world of entertainment.She is perhaps best known for her performances in Mary Poppins,The Sound of Music,and The Princess Diaries.Ms.Edwards is the author of many favorite children's books,including Mandy and The Last of the Really Great Whangdoodles.